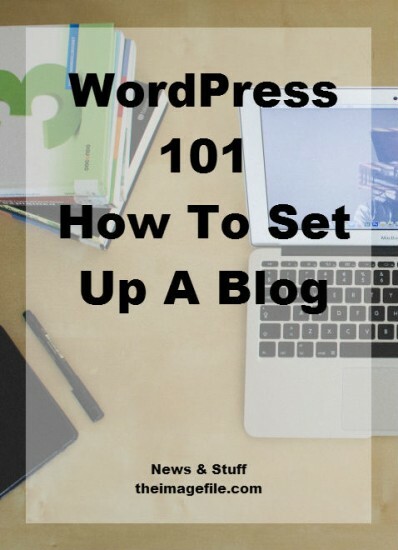 Following on from our previous blog post, 5 Reasons You Need To Start A Blog Right Now, we are going to focus on two things; how to set up a WordPress blog within theimagefile system and how to import your blog if you’ve already got started. Control Panel > My Website > Create Web Page and click the page title “WordPress blog”. The link called “Admin Login to WordPress” will take you directly to your WordPress Dashboard. This is like the control panel of your blog, everything you could possibly want to do is either on or branched off from this area. These are your unique log in details that can be used to log in to the admin area from a smart phone, iPad or any other device. We suggest that you eventually change these log in details to make your blog more secure but we will cover that at a later date. If you want to show a link to your blog on your main site, select the name that should be displayed in your navigation menu and the display order number. Your blog will automatically be given a subdomain so that you can start using it instantly. However, you can change this to anything you want as long as it’s not already in use. Ideally you should use your own domain name or a subdomain of your domain name. This area shows the details of how to set this up with your domain name registrar. HOW DO I IMPORT MY BLOG? If you already have a blog it’s easy to import your existing posts, images and all other content into your new blog on theimagefile. This will mean that your existing search engine optimisation and log history will continue to service your new blog. The first thing to do is export your existing blog posts and content to a file on your computer. Login to your existing blog site and export the .XML file containing all data. If your existing blog is a WordPress blog then you go to Tools > Export. Secondly we need to import your exported blog into your new blog site. On theimagefile site simply login to your WordPress blog and on the dashboard go to Tools > Import. On this page you will see a “browse/choose file” button. Select the .XML file you exported to your desktop and import it into your new WordPress blog. You will now see that your WordPress blog contains all existing posts from your previous blog site. So, let’s get blogging! WordPress for everyone on theimagefile! Advanced Contact Page Update! Have You Spring Cleaned Your Business?